While fantastical stories have been around since before the written word, they’ve gone in and out of fashion throughout history. 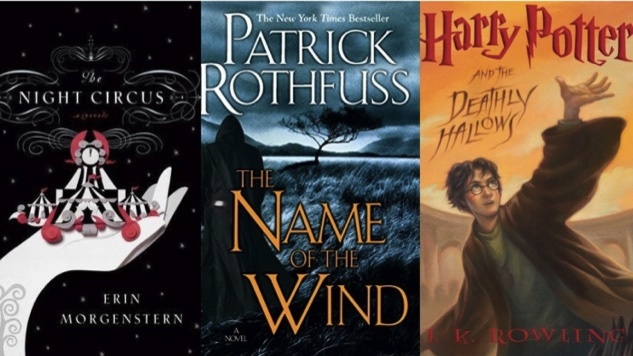 But the 21st century has been a particularly fruitful time of fantasy literature, with J.K. Rowling’s Harry Potter series ushering in an era of both publishers willing to take a chance on new fantasy writers and readers opening themselves up to worlds of magic. Many readers have worked their way back from movies like the Lord of the Rings franchise or TV series like Game of Thrones to their fantasy novel origins, seeking out new authors after devouring J.R.R. Tolkien and G.R.R. Martin’s books. If you’re looking for your new, favorite fantasy saga, we’ve got you covered. We’ve gathered Paste editors and writers to compile a list of our favorite books in the genre, ranging from high fantasy worlds with distinct systems of magic to simple fantastical fables to urban fantasies filled with characters ripped right out of own realities. This list boasts everything from Young Adult novels brimming with magic and violence to high fantasy epics chronicling war and drama. We’ve limited our picks to two books per author, and these books include entries in multi-volume series, standalone novels and a collection of short stories. Nearly 150 titles received at least one vote, but we’ve narrowed it down 50 books we recommend without reservation.